The future is very much connected with your origins. A glance back over the company's history makes it clear where our strengths lie – strengths which have ultimately been responsible for the international success enjoyed by LAPP. 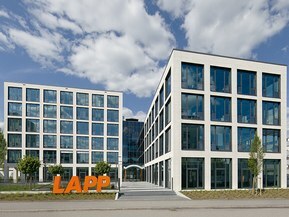 The history of LAPP is an excellent example of how Germany's SMEs have managed to expand onto the global stage. In under 50 years, a small, innovative outfit from Stuttgart has become one of the world's leading cable technology companies. Today, the LAPP brand is a byword for competence, quality and innovation all over the world. The high degree of continuity and stability guaranteed by the owning family, combined with an uncompromising customer focus, innovative strength and consistent branding, are a key part of this success.